Almost everything that worth seeing in Russian internet is made by Charmer studio. 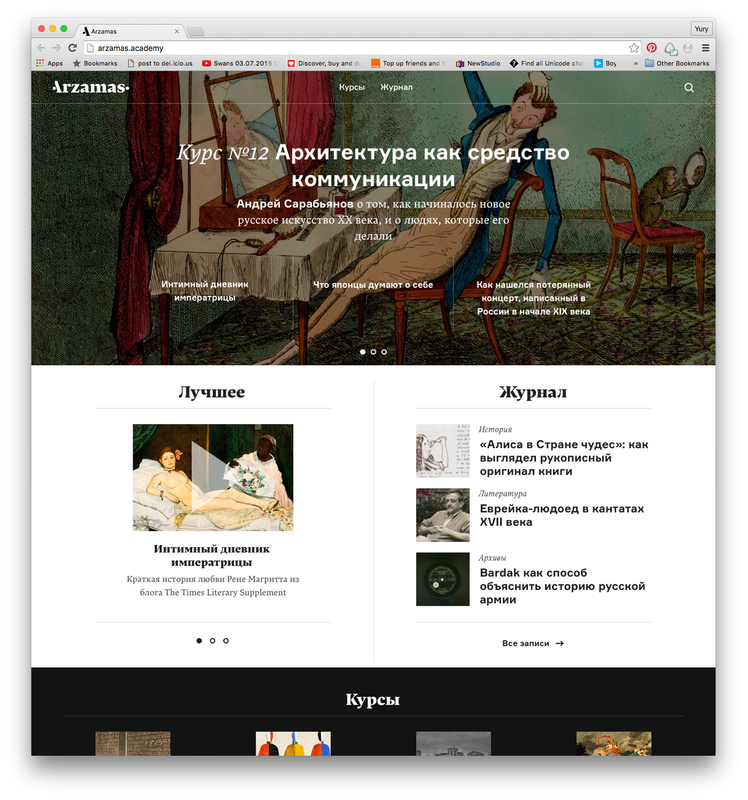 Type.today talked to studio’s art-director Alexander Gladkikh about web typography, web design and web designers. Ilya Ruderman: We would like to ask you about Type Today. We launched a project with this name and realized that, in order to orientate ourselves in the surrounding world, we need to talk to our colleagues about what is going on nowadays with fonts. So, a modern font — what is it like? Why is that? How does it differ from more outdated ones? Alexander Gladkikh: It’s a very interesting time now, in terms of what has been happening with fonts since the invention of the screen. Everything related to editorials and printing is part of an era that began many centuries ago and is not yet over. With the digital revolution everything started to change. The emergence of desktop fonts brought big changes to digital design, partially because it allowed the kind of manipulation that was previously done on paper. It still has some inconvenient features, like the limited amount of fonts which can be used on the web, hinting, anti-aliasing, and others. But, fortunately, they invented Retina a few years ago which means we are moving towards a digital typography that will be absolutely the same as print, and there’ll be no need to use particular typefaces or font sizes just because they look good on the web. People, who work on the web will need to know a lot, so they can do the same beautiful things as in print. If earlier it was possible to design an okay website with two or three fonts, now their number is growing. But still, there’s a very limited set of tools. IR: When HTML5 came along, many hoped it would change typography online significantly. Now, the format has been there for almost ten years, but we are still seeing Arial all over the web. A simple example would be Google search results. No matter how much the Google interface changes, search results still come up in Arial. Apparently, it will be like this for a long time. IR: In your experience, how afraid are publishers of font customization? It is imaginable that there will be a discussion every time as to whether or not it would be better to make the entire website with system fonts, to show up on the screen without even the slightest delay. Do you think editorial teams feel ready for customized solutions? AG: Editorial teams very rarely say that they need customized fonts now. It often happens, though, that the typeface used for the main information is put as a default, but they prefer customized typography for all display groups, for example: it’s bigger, so it’s not as risky. But when you can’t read the main text because of problems with hinting, that’s unacceptable. We had Vedomosti for instance, who used Georgia as their basic set precisely because they were worried about similar problems. But everything else is made in Fedra, if I’m not mistaken. It also happens that some don’t want to pay for Helvetica thinking that Arial is just the same — what is the point of paying 800 dollars for tracing? It’s complicated. IR: Initially, the majority of fonts were meant for printing, so you have to decide each time: would it be suitable for the web? Would this designer solution work in the browser? Tell us, how satisfied are you with the print world in terms of your own goals? After all, only a small percentage of users have Retina displays. AG: I don’t believe that these are different worlds. They are the same, but most things on screens are still of poor quality. Only five or ten percent of the world’s font archive are available in a digital format and on the web. The majority of them are more or less basic, universal. They are more related to typesetting. IR: This is the market. And commerce. AG: Absolutely. I think the situation is getting better every day for web designers, if only because the number of fonts is growing. But the feeling of being constrained is still present. It’s especially evident when you are busy with a project that has no brand guidelines. When I make brand identities or a website from scratch, a font is 70% of the whole image for me. It dictates a certain mood and creates a brand promise, which is why the choice is often limited. In some situations the same fonts are used for different projects just because there is nothing better available. That’s sad. Yury Ostromentsky: I have noticed, though, that you use something different for each project. AG: That story with the company called Parachute was from back when I couldn’t find anything that looked good for an affordable price. I don’t collaborate with Parachute much anymore, I found some other guys who do Cyrillic better. At some point I realized that I often use Helvetica-like fonts. I think it’s a common story. I was searching long and hard for Helvetica substitutes that would be suitable for the web. 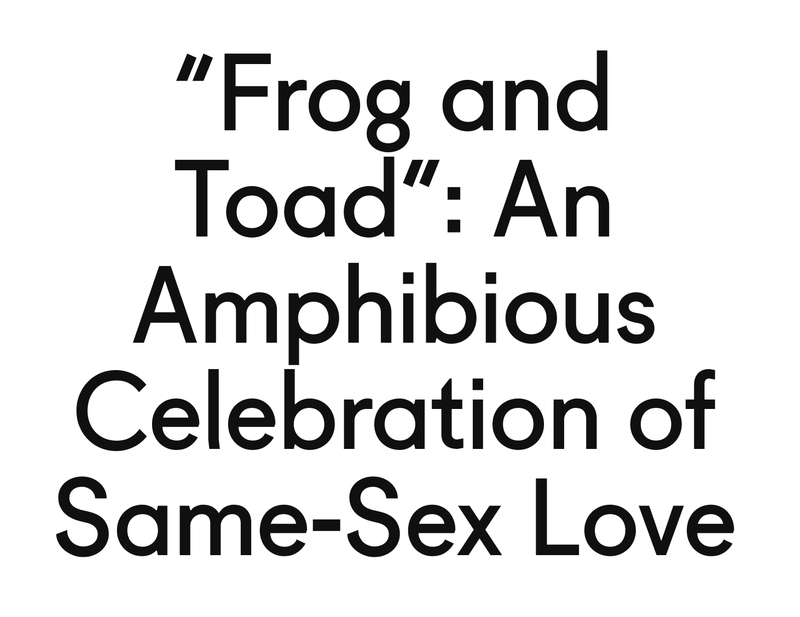 I really like Akzidenz Grotesk, for example, but as far as I’m aware they still haven’t got a web license. IR: But the font is already over a hundred years old. AG: Yes, it’s from Berthold, a very old company, — God knows why they haven’t sorted this out. I’m also a big fan of the guys from Dalton Maag. Their Aktiv Grotesk is my favorite replacement for Helvetica. It hints perfectly, has good aliasing on the web, and no problems with sizes either. And they also have it in Cyrillic. IR: Have you looked at Graphik? AG: Yes, I did. We need more Helvetic fonts! IR: Could you name three fonts that most vividly illustrate modernity or are super-contemporary? AG: It is difficult to name something specific. 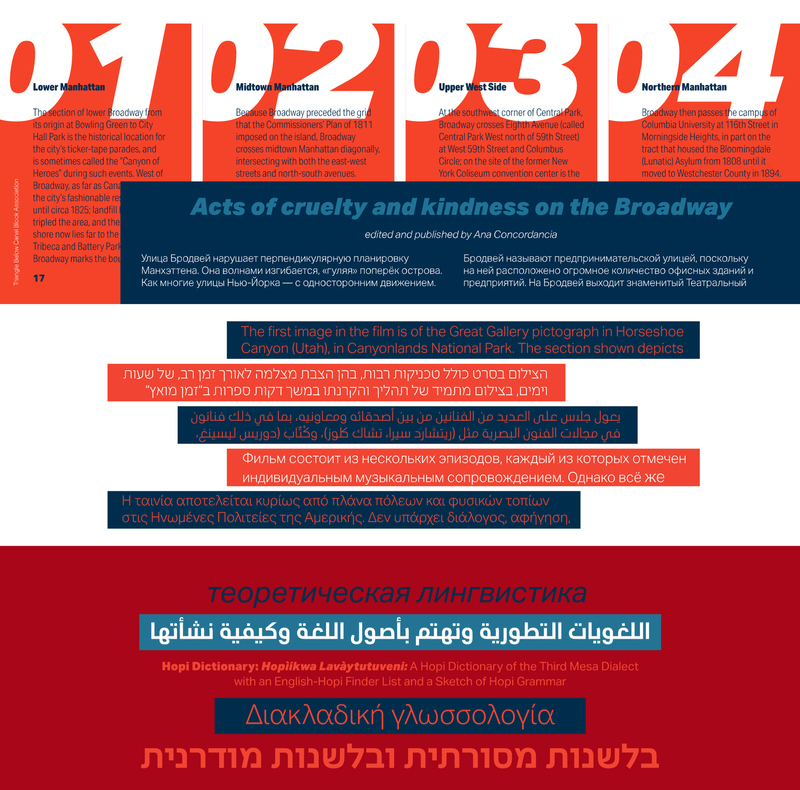 Based on the peculiarities of the media, it would be display fonts, — something similar to PT Sans, for example. But for some reason I can’t accept this trend in fonts, especially not in Cyrillic. For me, grotesque fonts can be divided into two groups. First of all, there are geometric grotesques like Gotham, widely used nowadays. The second type would be something like Helvetica, a never-ending story. Also, there are some bizarre, very modern tailor-made fonts like Fugue… all these silly grotesques. I can understand all three trends, but something like humanist grotesque fonts doesn’t really appeal to me. IR: Do you consider PT Sans to be a good example of a modern font? Or is it more an anti-example? 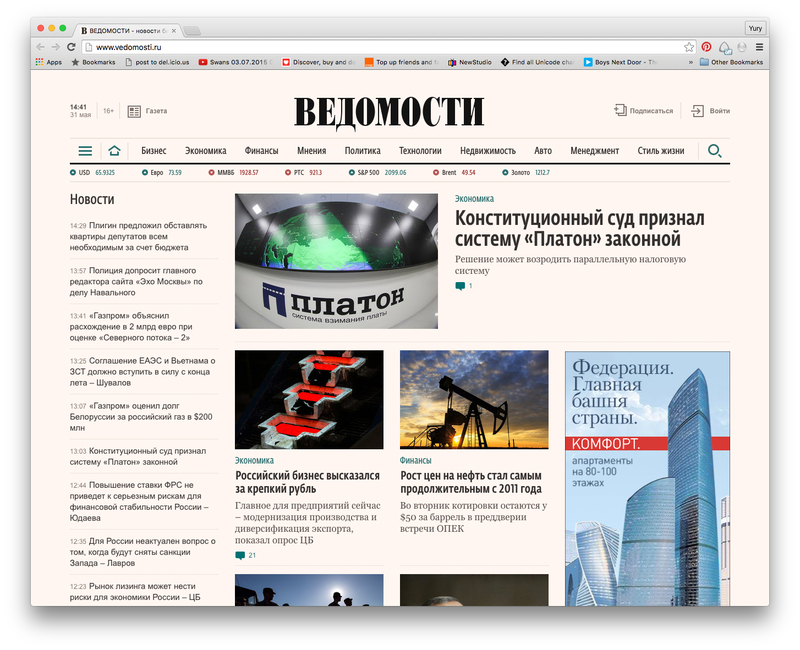 AG: In Cyrillic those fonts can hurt my eyes, but contemporary media prefer them most of all for display usage. On Quartz and so on… It happens here as well, I got stuck with Lenta too — I had to use PT Sans. Although I like PT Serif, the only thing you might use that could go together with it would be… No, I can’t really accept it. IR: And what do you think about the spectrum of antiqua fonts? Stylistically it’s far more systematic. Are there limitations as well? AG: No, and by the way, when choosing antiqua I rarely face any limitations. But it is difficult for me to talk about antiqua fonts. It’s easy to be smart about it when you know enough. IR: It’s not necessary to talk from an expert position . 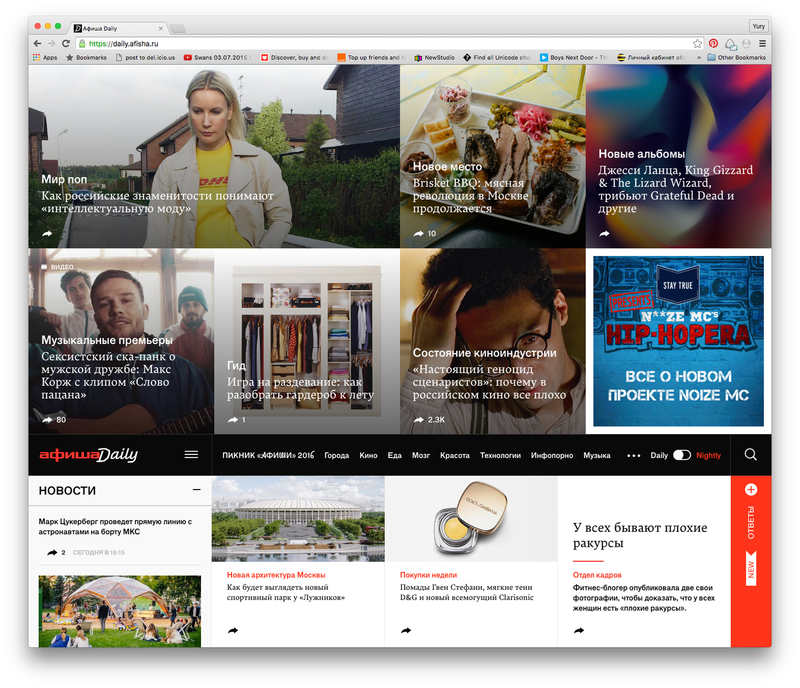 You have your own feel and enthusiasm for certain designer solutions… It’s understandable why Vedomosti use Georgia. But why PT Serif for Lenta? AG: It was almost the only antiqua that was really suitable for the concept of news design. I have a lot to say about it though. It’s a pain on the web. When we were doing Meduza, for example, we took a font called Circe, and the second one — Regal — was made by Parachute. It was a weird choice. Everyone was asking: why? They’d used it in an annual report of some fashion publisher; it had a hint of a rather questionable bourgeois feeling to it. But it had an absolutely beautiful heavy version, so I decided that it could be used for making smaller headings with a thick line, and consequently would add something interesting to the news media. But then I thought about how it would look when typed in. And it was quite thin, hard to read in some places. That is why I suspect they will give up on it at some point. IR: And about today’s trends in typography… Who are you following to get inspired? AG: In my opinion, it’s still only graphic and editorial designers who are free enough to allow themselves truly interesting solutions. But I follow everything that’s related to the web. There are these guys from New Zealand called Sons & Co who I really love. 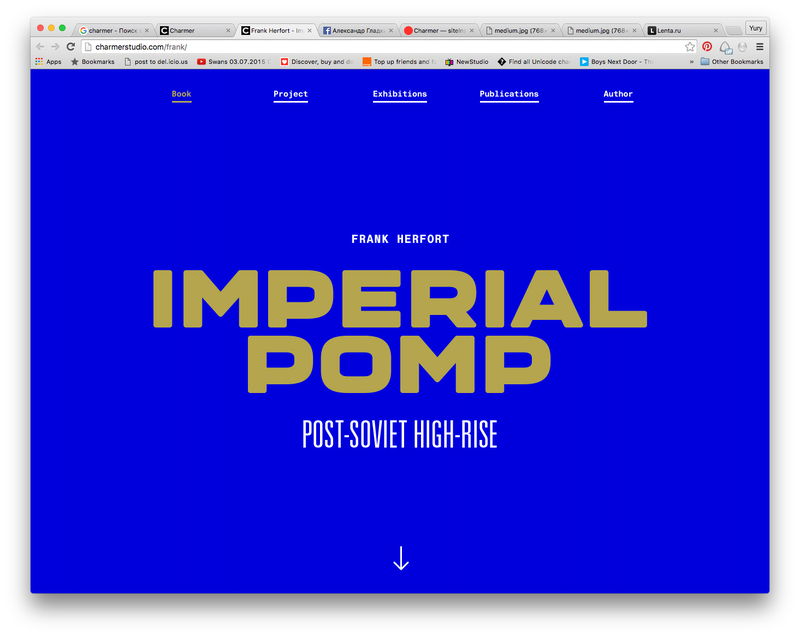 They publish interesting projects on SiteInspire, including websites based on typography. Mostly, they amaze me with how beautifully they can mix print editorial design with large display fonts, strong contrasts, and so on, and use it in a very fresh way. You open their website and get a feeling that you’re looking at a very modern magazine. Almost everything they make is based on typography and photography alone, with a minimum of decoration. IR: You already explained a bit about how they are able to create this feeling of modernity: with a minimum of decoration, a concrete idea. What else? 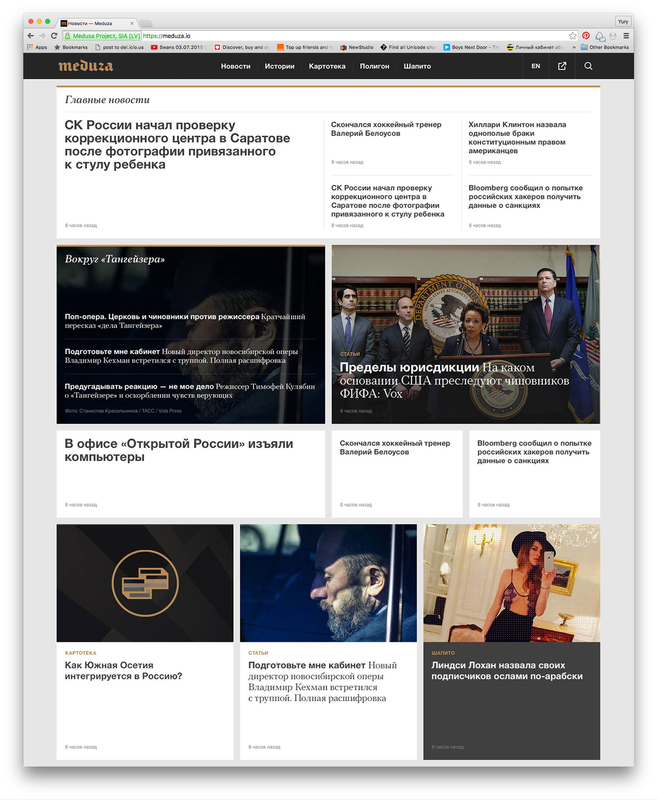 AG: A complex grid, partially resembling editorial, but adapted for the web. And the web allows you to do non-standard things too. AG: Yes, if something gets stuck during scrolling, the content loads in a nice way. Things that look static at first, like in print, behave in an unusual way. On the whole, these guys have managed to merge two trends which had been following different paths up until then, with one of them — the digital — having been seriously crippled with regard to fonts and other solutions. IR: Do I get it right that we haven’t yet got to the point where this merging of print and web media will be able to create a new phenomenon in design? AG: No, we haven’t reached it yet. I often notice how designers who always work with print media have a special behavioral pattern: their websites have a key characteristic — they are very static. At the same time, I’ve seen web designers coming up with good concepts for print. The web format is very dynamic. While working with it, you develop your intuition on how to arrange content better. Now, the character of digital has changed: two or three years ago everyone started to make responsive designs, which ultimately leads you to switching from a desktop, a mostly horizontal narrative, to the iPad, for example, or to mobile design, where everything works differently. You gain some experience with desktops, visually resembling classical A4 paper format. And it all relates to editorial — in the way it’s formatted and presented. So designers who don’t have experience with print media have an opportunity to find solutions there. At some point digital will pick up on every cool feature of print, and that will breathe new life into it. IR: What is the role of mobile design in this scenario? AG: Well, it is an interesting thing in itself, not totally similar to web or print design. Just long interactive scrolls, which are still being used in a very primitive way. IR: Do you think it’s lagging behind because it is still very new and has physical limitations? Does this perhaps imply primitiveness and a secondary role? AG: No, it’s exactly the other way around. It’s developing very quickly. The thing is that producers mess with designs all the time, seriously changing the format and proportions. If a couple of years ago there was no other choice except to make everything linear, now we have smartphones where that would just look ugly. When you start inserting a grid, two columns can go down, or something else. It’s also developing and getting enriched, it just began with primitiveness. I think mobile design will become very advanced. AG: I think we need more good Cyrillic fonts. IR: What do you mean by good? A quality Cyrillic that you can rely on? Do you actually look at the quality of Cyrillic fonts? AG: Yes, once when we were searching for a font, there were a couple of examples that had been converted to Cyrillic by some foreigners. We were testing one letter and found out that everything about that font was great, except that the letter U, say, was terrible. Simply because it was made by people who had no feel for Cyrillic. I think making Cyrillic fonts is a responsibility of our people, who understand how it works. Unfortunately, you can count those on one hand. IR: You are searching for a font, then, and find a good one, but there is no Cyrillic version. I am sure there are several such examples. AG: I would like Haas Grotesk in Cyrillic, actually. IR: Almost like Graphik. Schwartz’s Neue Haas Grotesk. It’s great. 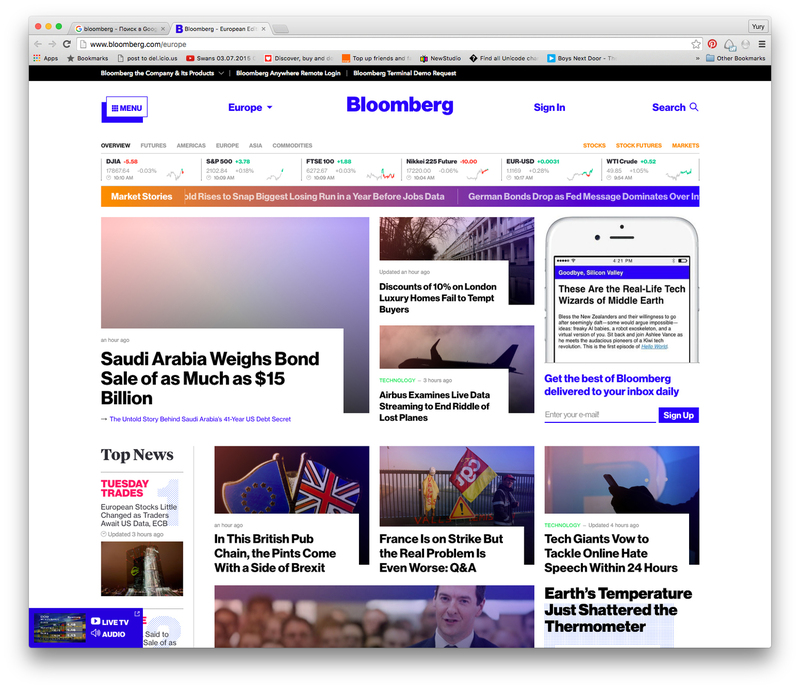 AG: Bloomberg is using it and it looks superb there. IR: I’ll let them know. We’ll keep an eye on future sales of Graphik; it’s making sales records at Schwartz already, even though it was only launched in November. They sell Cyrillic fonts all over. Unimaginable. AG: I can’t name a specific font, since so many are missing. There’s another huge problem, too: ideally, I would like to work in a world where designers can download a font for free, look at how it works, sell the story to a client, and only then purchase everything. The need for this has been obvious for many years now. I understand all the risks authors and suppliers of fonts would be taking, but the absence of this option is really felt. It’s possible, of course, to type the text online and see how it looks, but this isn’t always applicable. Sometimes you need to try fonts in the concept version. We used to do this with screenshots. You type in a particular heading of a certain size and insert it into your layout. But that’s crazy. It’s very difficult to work like this. AG: Like TypeKit? We tried to work with it, but the fonts you need aren’t always on the list. There is a good basic set, but often you can’t find something special. And if you need a font with a dash of madness like Fugue or Apercu, which was extremely popular about four years ago, you have to buy it. Though it is possible to sell it on to another project afterwards. YO: I see that standard web designers often choose Roboto. But I don’t understand why. I assume that it’s a matter of status: as in Google is a leading company and so nothing bad would be suggested. Plus, it’s simple, for free, and has many styles, — sure, I’d take it. But it also has a stylistic component. What’s likable about it? It’s even plainer than Arial. Just white noise. Can you explain why plain fonts are so popular? AG: Regarding Google, you are right: Roboto is used in all Google apps and, in part, it’s related to their status. Secondly, everyone is fed up with Arial, but Roboto is at least more or less contemporary looking… Third, people want to avoid technical work: you don’t have to buy anything, and the quality is more or less okay. And many web-designers don’t pay much attention to fonts. They won’t seek out producers; in the best-case scenario they’ll use Paratype, because it’s an old and famous bureau for us. They have no idea who Berthold, Grillu, Village, or Stromtype are. They don’t care. They think that earlier they had five fonts, but now it’s twenty-five and that’s great. They’ll choose one that suits best and that’s it. They economize on time and effort. IR: Looking back, which font have you used most often in your practice? AG: Helvetica, I think. And also Proxima Nova — simply because five years ago Gotham became extremely popular, but we didn’t have it and only had Proxima. PT Serif is often used as a replacement for system Georgia, but it doesn’t go together well with certain fonts. There is a notion that all system fonts that have always existed — Georgia, Arial, Times New Roman, Verdana, Courier, and Tahome – have been on the web for so long that their character no longer visible. People who are not into design rarely see the difference. I had a friend who couldn’t understand the difference between antiqua and grotesque fonts. But even Georgia, when condensed, has a very strong character. YO: Especially amusing is that two or three years ago Times was extremely popular in graphic design. Especially when scaled. And yet there were no traces of that trend on the web. AG: Yes, our Vadik Marmeladov and the guys from Sila used Times a great deal; they deformed it when that was trendy. It looked pretty decent. I think I ought to mention my favorite studio, AREA 17. 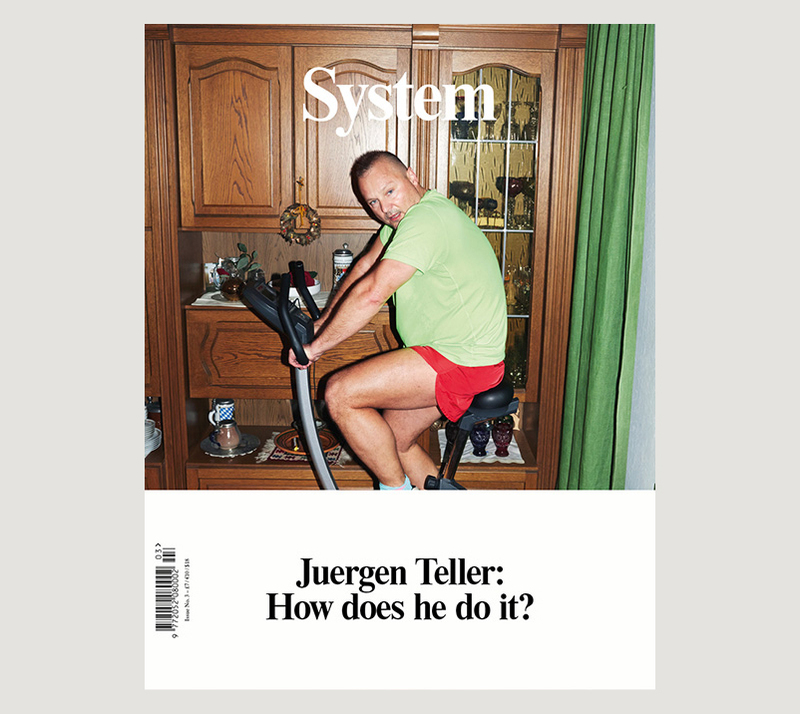 They produced System magazine and a website using Times, and it looks really cool, interesting and strong. IR: Which is more relevant for contemporary design — grotesque or antiqua? AG: I think grotesque. For some reason it’s easier perceived on all the devices we work on, even aesthetically. IR: So iPhone is more about grotesque than antiqua? AG: Yes, and as I see it, there should be a very interesting display usage of antiqua, setting a certain style. Or else there is also the matter of reading a longish text. Antiqua is far easier to read than grotesque. IR: So antiqua can’t be contemporary? AG: Well, in display use… In reality, almost everything basic is made in grotesque. That’s why using antiqua can be an interesting authorial solution. For example, with regard to branding: you can open an app, and if it’s made exclusively with antiqua — that is contrast! The majority of examples that I have seen recently are about trendiness and readability. But it’s difficult for me to imagine, let’s say, Instagram, where antiqua would suddenly appear. Though if it’s modern and interesting enough, it can be used as well, they’ll get their own style. AG: Ideally, everything is moving towards a point when choosing fonts on the web will become a far more significant procedure than it is now. IR: I also noticed your desire to find the best possible fonts for each project and to have more nuanced options for adjusting your toolkit to suit each task. That is interesting. It’s usually the case that designers fall in love with one font, get attached to it, using it alone or in a favorite font pair for several years at a time, without break. I find that very conservative, even ossified. The surrounding world changes more often than every five years. Wanting to double-check, switch over, or question your favorite fonts are proper and healthy things to do. It’s a different matter, of course, when you just keep convincing yourself that your font pair is still the best. Thank you so much! You look at this world so differently and it has been quite fascinating and very useful for us to hear about your take on these matters today.